As you all know i went to the GlossyBox indulgent shopping event at The Rituals store at St Pancras on Wednesday evening. 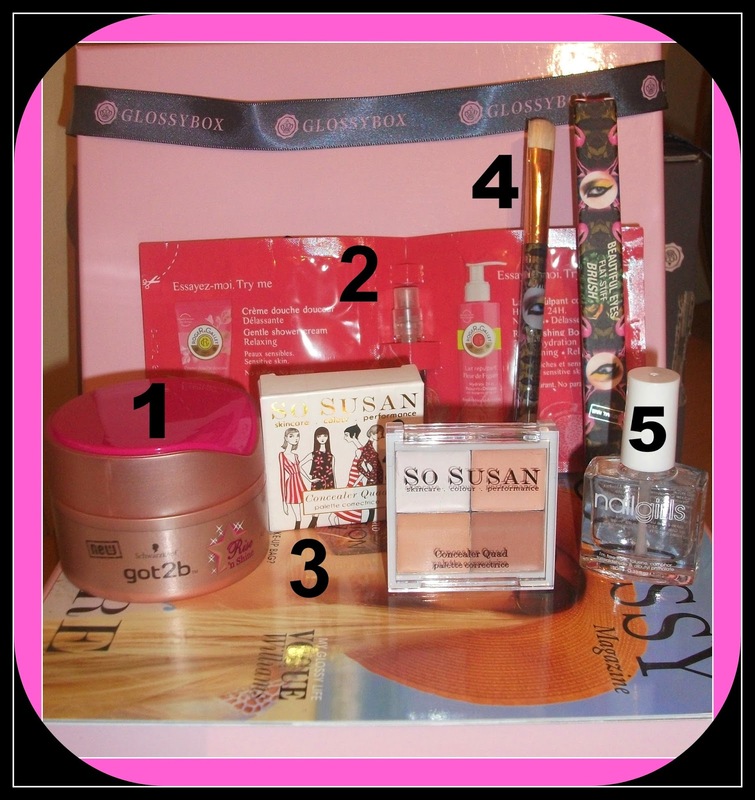 You can read my post about it here I could have collected my GlossyBox there but i thought it would be better to just send it to my address as usual. It's like a little present to yourself every month! So what lovely products did i get? I have long hair so i love trying different styles, this product is great for volumising my hair, smells lovely and the product is Pink! Yay! If you didn't know already i'm a big fan of moisturisers and looking after my skin so i love this! Unfortunately i didn't like the fragrance but that's just my taste. This is amazing! Fabulous for creating a flawless complexion, I can just pop it in to my bag without carrying lots of products with me. The packaging is super cute too! I adore the design of this brush! A great brush for applying eye shadow. A perfect base and nail hardener.